If the roof on your business has suffered storm damage or is starting to show its age, contact the experienced professionals at Elite Roofing Services. We provide commercial roofing repair and replacement services, and we’ve been the preferred choice of businesses throughout the Plant City area for more than two decades. Our commitment to providing precise craftsmanship and customer-focused service has helped us to develop a client list that includes Hillsborough County, Tampa International Airport, Marriott, the Port of Tampa, and Burger King, to name a few. When you choose Elite Roofing Services, we will make sure the roof on your business is returned to optimal condition and is ready to provide outstanding protection for many years. We utilize products from respected manufacturers including Duro-Last, GAF, Karnak Coatings, and Carlisle SynTec, and our roofing specialists can install or repair any type of commercial roofing materials. We also install commercial cool roof coatings, which can provide an extra level of protection against weather damage and water intrusion and can help reduce roof temperatures by reflecting harmful UV rays. 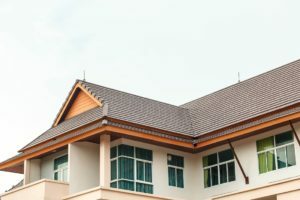 This can prolong the life of your roof while also helping to lessen the strain on your building’s HVAC system to provide potential monthly energy savings. If you would like to learn more about the commercial roofing repair and replacement services we offer, or if you would like to schedule an inspection for your building in the Plant City area, contact Elite Roofing Services today.